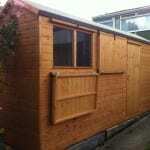 Garden sheds are what we do. 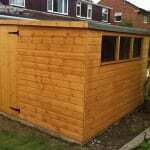 It’s what we’ve spent over 25 years perfecting and the quality and your satisfaction are what remain most important to us. 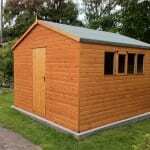 Whether it’s a standard size and layout or a custom build, your satisfaction is guaranteed. 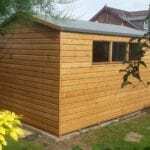 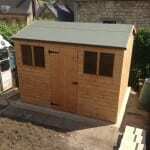 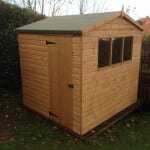 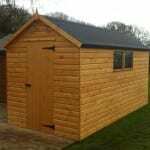 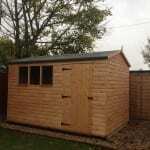 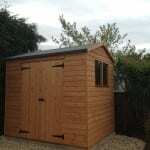 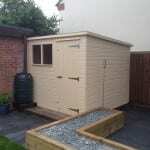 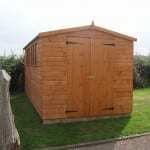 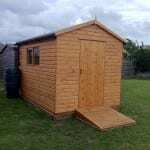 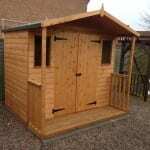 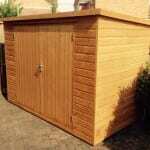 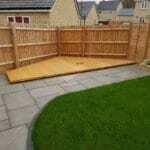 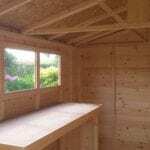 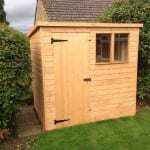 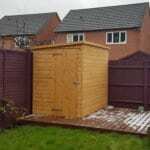 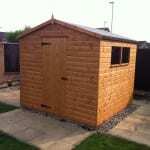 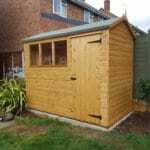 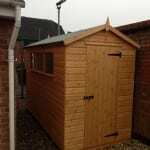 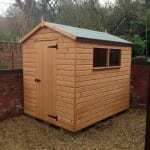 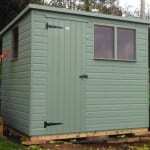 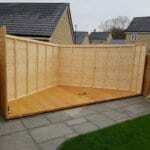 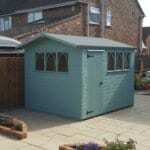 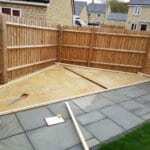 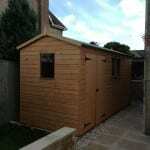 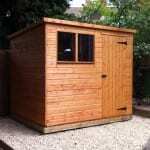 Click below to view some of our recent garden sheds and then use the contact form for a quote for your requirements. 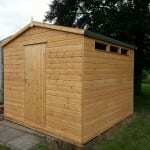 Let’s talk sheds. 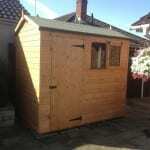 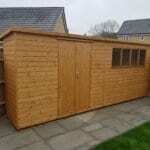 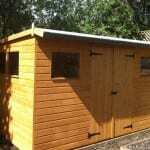 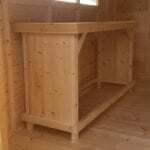 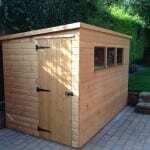 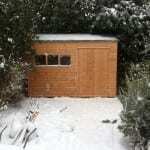 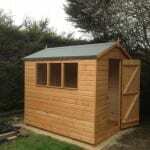 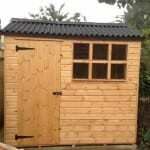 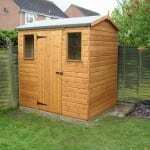 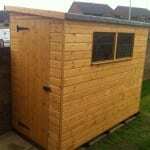 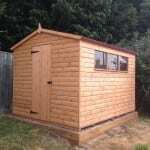 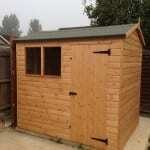 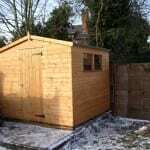 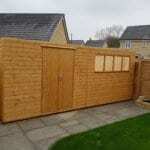 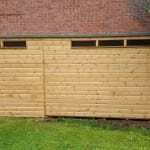 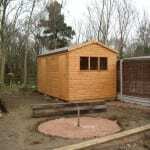 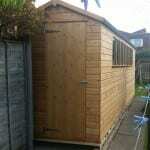 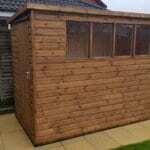 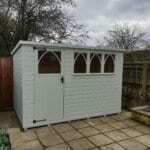 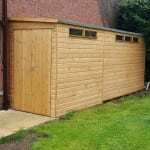 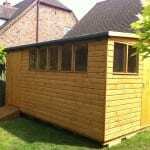 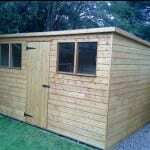 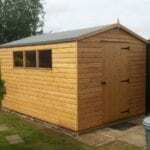 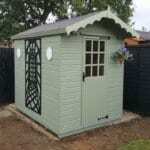 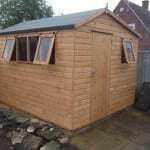 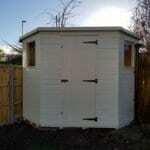 10×8 Garden Shed with Security Windows. 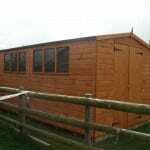 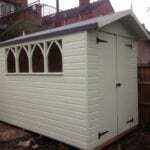 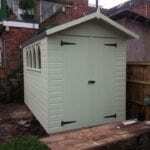 10×8 Apex Shed With Church Style Windows And Painted With Cuprinol Shades.